Hydroxylbastnäsite: Mineral information, data and localities. 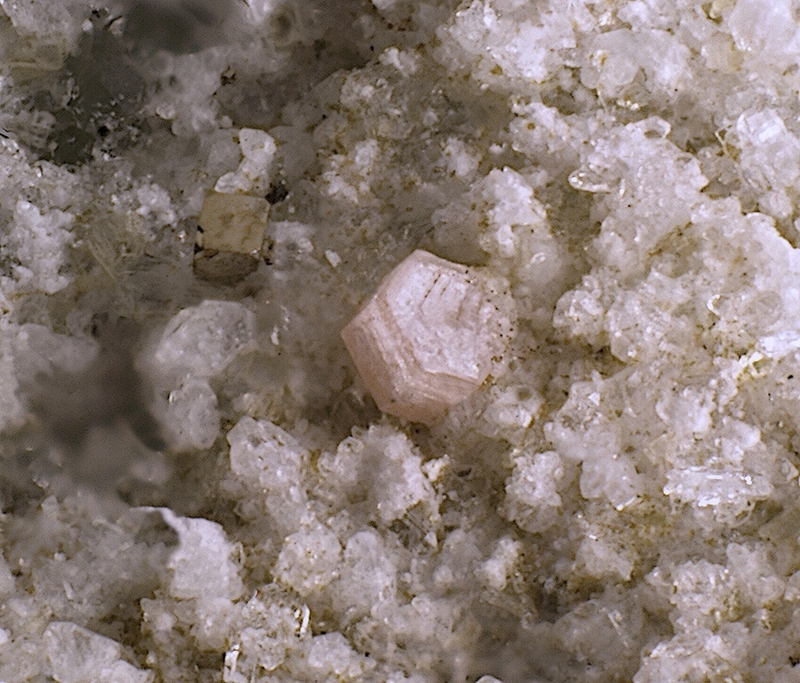 This page provides mineralogical data about Hydroxylbastnäsite. The following Hydroxylbastnäsite specimens are currently listed for sale on minfind.com. [Hydroxylbastnäsite-(Nd)] Roberts, J. (2017). Telluride mineralogy at the Deer Horn Au-Ag-Te-(Bi-Pb-W) deposit, Lindquist Peak, west-central British Columbia: implications for the generation of tellurides (MS dissertation, University of British Columbia). 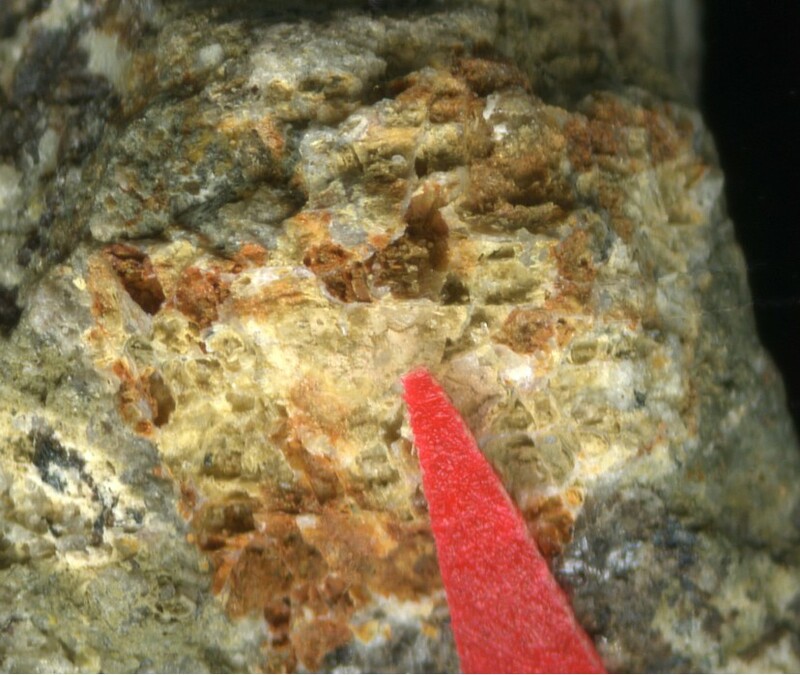 [Hydroxylbastnäsite-(Ce)] PAPOUTSA, A.D. & PE-PIPER, G. (2013) The relationship between REE-Y-Nb-Th minerals and the evolution of an A-type granite, Wentworth Pluton, Nova Scotia. American Mineralogist 98, 444-462. [Hydroxylbastnäsite-(Ce)] Al-Ani, T.,Sarapää, O. (2009). Rare earth elements and their mineral phases in Jammi carbonatite veins and fenites on the south side of Sokli carbonatite complex, NE Finland. Geologian tutkimuskeskus, arkistoraportti, M19/4723/2009/34. 24 p.
[Hydroxylbastnäsite-(Nd)] Pantó, G. and Maksimović, Z. (2001) Two new rare earth minerals in an unusual mineralization of the Nissi bauxite deposit, Greece. Acta Geologica Hungarica: 44(1): 81-93.; Jambor, J.L. and Roberts, A.C. (2002) New mineral names. American Mineralogist: 87: 765-768. [Hydroxylbastnäsite-(Ce)] Minakawa, T., et al (1992): Chigaku Kenkyu, 41, 155-159; Kiyonori Michiba, Ritsuro Miyawaki, Tetsuo Minakawa, Yasuko Terad), Izumi Nakai, Satoshi Matsubara (2013) Crystal structure of hydroxylbastnäsite-(Ce) from Kamihouri, Miyazaki Prefecture, Japan. Journal of Mineralogical and Petrological Sciences 108:326-334. [Hydroxylbastnäsite-(Ce)] Kartashov P.M., Voloshin A.V., PakhomovskiiYa.A. On the zonal crystaline gadolinite from the alkaline granite pegmatites of Haldzan Buragtag (Mongolian Altai), - Zapiski VMO, 1993,N3,p. 65-79. [Hydroxylbastnäsite-(Ce)] Kozłowski, A., & Matyszczak, W. (2018). Oxygenic bismuth minerals in the NE part of the Karkonosze pluton (West Sudetes, SW Poland). Acta Geologica Polonica, 68(4). ; Mochnacka, K., Oberc-Dziedzic, T., Mayer, W., & Pieczka, A. (2015). Ore mineralization related to geological evolution of the Karkonosze–Izera Massif (the Sudetes, Poland)—Towards a model. Ore Geology Reviews, 64, 215-238. [Hydroxylbastnäsite-(Ce)] Szakáll, S. & Kristály, F., Eds. (2010): Mineralogy of Székelyland, Eastern Transylvania, Romania. Csík County Nature and Conservation Society, Miercurea-Ciuc, Romania, 321 pp. [Hydroxylbastnäsite-(Ce)] Ondrejka M., Uher P., Pršek J., Ozdín D., Putiš M., 2005: Arsenian monazite-Ce and REE arsenates and carbonates: Composition and substitution in the REEPO4 – REEAsO4 system. 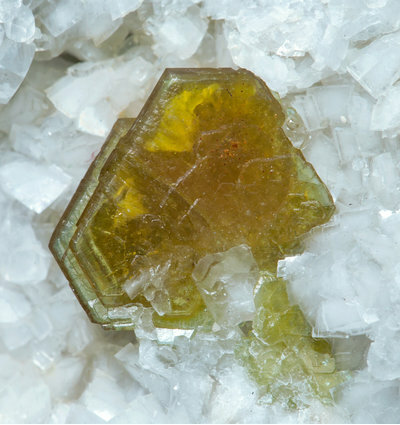 Example from Tisovec – Rejkovo thyolite (Western Carpathians, Slovakia). Geophysical Research Abstracts, Vol.7, 04857.